10.oblivion 〜 off vocal ver. 11.696 〜 off vocal ver. 12.PETITESIRENE 〜 off vocal ver. 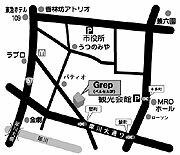 Copyright (C) 2009 GREP. All Rights Reserved.